With a team composed of passionate staff members who showcase their complete ability both in the field and in ground, Nepal Hiking Team has managed to successfully present to its valued clients an authentic taste of travel and trekking adventures since the very beginning of its establishment in 2009. Operating and arranging travel and tour packages across Nepal, Tibet and Bhutan- Nepal Hiking Team is always striving towards better services and top notch customer care at each and every step it takes forward. We are also proud to showcase our achievements in the field, holding the Certificate of Excellence since the year 2012 to 2017 consecutively. Furthermore, we are even more proud to announce that we have been qualified for the Certificate of Excellence Hall of Fame- a feat achievable due to our rewarding of a Certificate of Excellence every year for the past five years in synchrony, highlighting our dedication and passion that is put into our work. With hard working employees and staff members, the services rendered by the agency and the provided aid and help towards customers, Nepal Hiking Team has been recognized as one of the best travel agencies operating at the local level. Due to great cohesive care that goes into each and every client and customer that we provide our services to, we have had many returning clients who seek to use our services again and again. 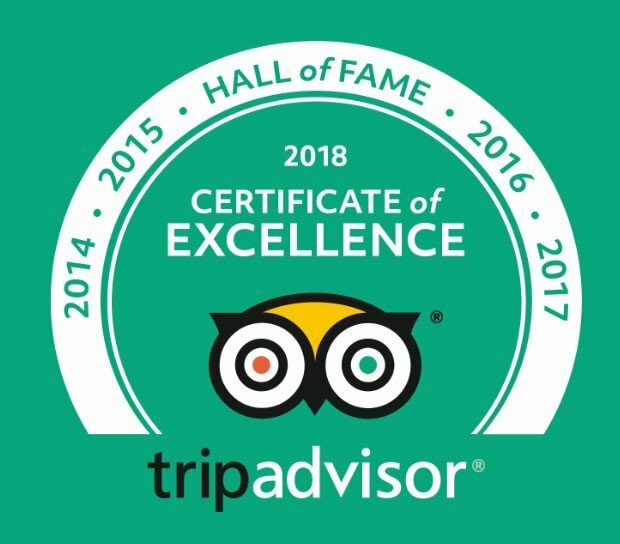 The Certificate of Excellence that is awarded to us is based upon the review criteria on TripAdvisor left by the customers- and our consistent uniformly great work has allowed us to receive this achievement, for the positive testimonials and reviews about our esteemed company speak for themselves. With the safety and satisfaction of the customers as a foremost priority, Nepal Hiking Team’s consistent work towards the tourism industry is identified by happy customers, proving our work to be the best when it comes to organizing and arranging travels and trekking journeys at various destinations in Nepal, Tibet and Bhutan. With only select businesses receiving the certificate, Nepal Hiking Team’s hard work and dedication towards making sure that our customers are getting the best and optimal services is perceived and credited to the highest degree. By receiving the Certificate of Excellence, Nepal Hiking Team acknowledges the need to keep up with the current excellent work and continue on as a preeminent body of tourism in the country, helping to expand the appeals of Nepal to a wider range of travelers all over the world. Moreover, our enlistment in the Certificate of Excellence Hall of Fame is another milestone that recognizes our passion and unity in the selected field. Only businesses that have received a Certificate of Excellence for five consecutive years are qualified for the Hall of Fame, of which Nepal Hiking Team is now proudly a part of. We take this as a grand opportunity to further expand our ideas and showcase even more commitment and diligence into giving our best and making our client’s travel dream into a pleasurable reality. Where are your offices located? Are you a locally owned company? Why Mardi Himal Trekking is an amazing Adventure?